I love Lois McMaster Bujold's writing. I even loved her author's note -- her tone of voice comes through so well, and it's so pleasant to read. The first book did something I never thought a story would be able to do: It made me wish I was possessed by a demon. (How silly does that statement sound!) But in the story's world, having a demon was like multiple personality disorder, but the other people in your head are real and quite old -- full of interesting information, powers, and stories. Seems like you'd never get lonely if you had a demon in you. The story followed how Penric got the demon inside him, and the early days of living with her. In the second book, set ten years later, Penric was settled into his role. He was sent out to assist another church official in hunting down a criminal, and through that we met the titular Shaman. Though Amazon reviews disagree with me, I liked the first book a lot better than the second. For some reason I kept getting the other two main characters (Oswyl and Inglis) mixed up -- maybe I have trouble with multiple vowel-names? :P Or it's possible I'm just really distracted right now, since I'm moving in less than a week. 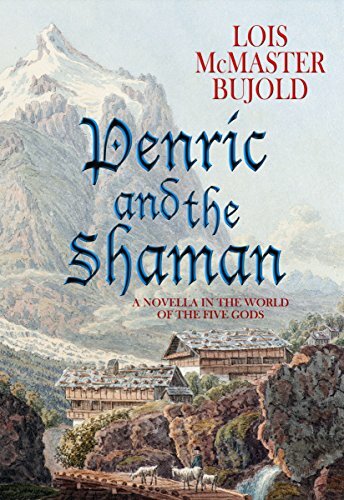 I suspect, if I compared Penric and the Shaman to the average book I read instead of to Penric's Demon, I would have given it a Loved rating instead. Though Amazon lists these as individual books, they're actually novellas, so I'm counting the two together as one.